Heat oven to 350°F. 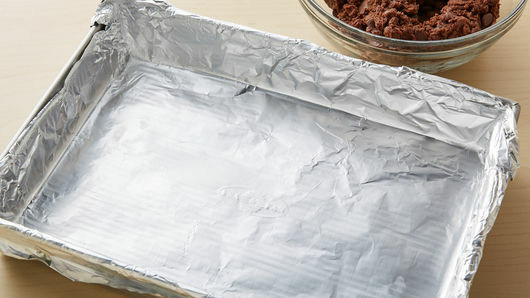 Line 13x9-inch pan with heavy-duty foil, extending foil over sides of pan. Spray with cooking spray. In medium bowl, crumble cookie dough; stir or knead in cocoa until well mixed (dough will be stiff). Press dough evenly in bottom of pan. 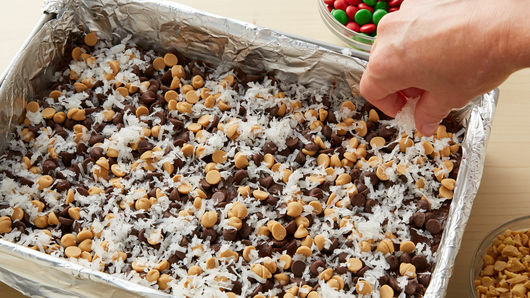 Top evenly with chocolate chips, peanut butter chips, coconut, chocolate candies and peanuts. Pour sweetened condensed milk evenly over bars. Bake 30 to 35 minutes or until edges are golden brown (center will not be set). Cool completely, about 2 hours. Use foil to lift bars from pan. For bars, cut into 6 rows by 4 rows. Store covered in refrigerator. Foil lining the pan makes pan removal and cutting of bars easier. 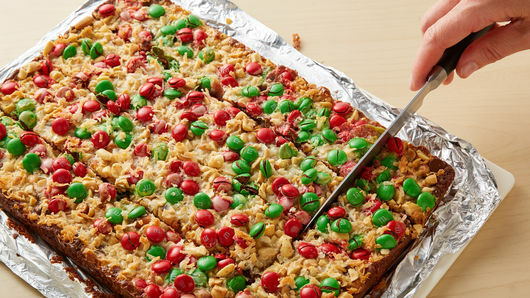 These 7-Layer Bars would be great for any occasion. 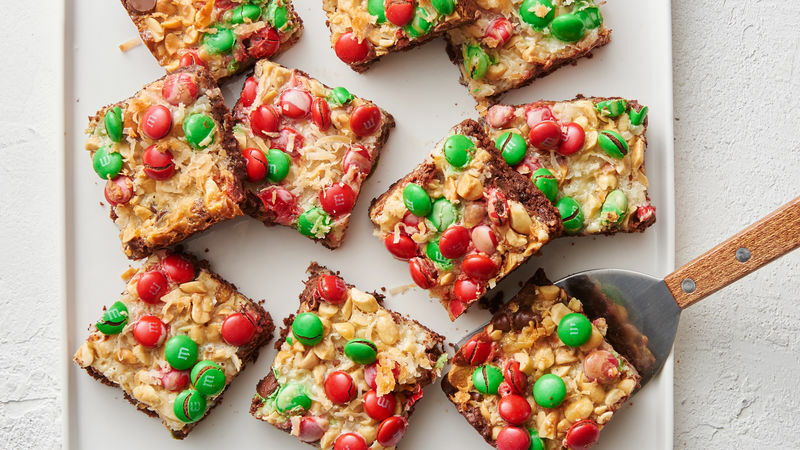 Any color M&M’s™ can substituted for the red and green candies.